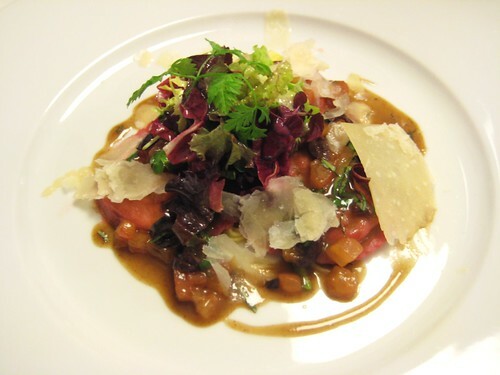 Salad of spaghettini with seared lotte and greenpea-basil vinaigrette. Haven’t tried that one. Cream cheese and artichoke filled ravioli with olive and balsamic vinegar dressing. Fruity and hearty, nice vinegar touch! 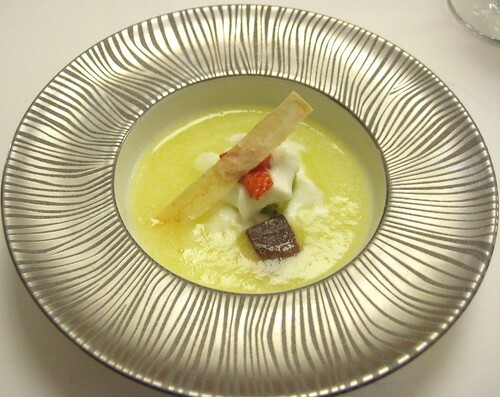 Bergamotte ice cream in pineapplesoup with milk rice espuma. Refreshing Trou Normand: at the same time fruity and mysteriously spiced. 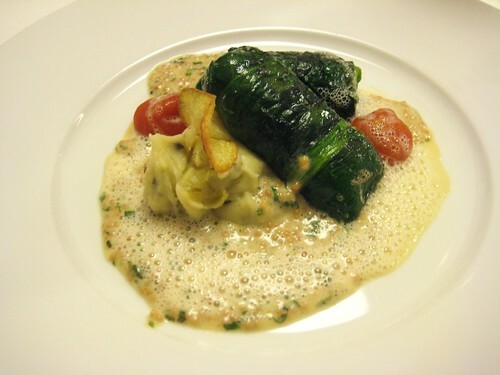 Sole coated in spinach with olive-potato purée and estragon-mustard sauce. Incredibly juicy yet firm to the bite sole. The sauce was quite hearty but it worked. 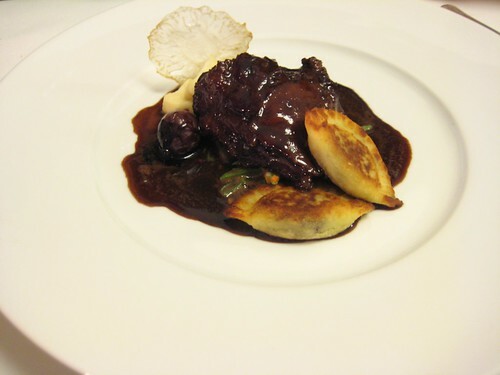 Braised veal cheek in red wine, plum-filled “potato pockets”, celeriac puree. As expected, some extremely tender veal. Good play with the plum ravioli and the intense red wine sauce. Nice example of interpretation of a classic combination. No need to put anything molecular in here. 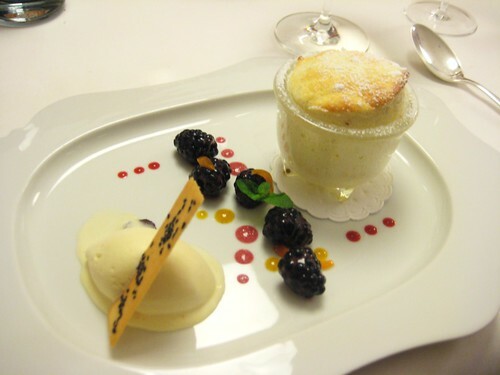 Curd Cheese soufflé with marinated blackberries and Grand Marnier ice cream. Gentle ending. This was a very satisfying dinner. One can also perfectly comprehend the one star Michelin rating. 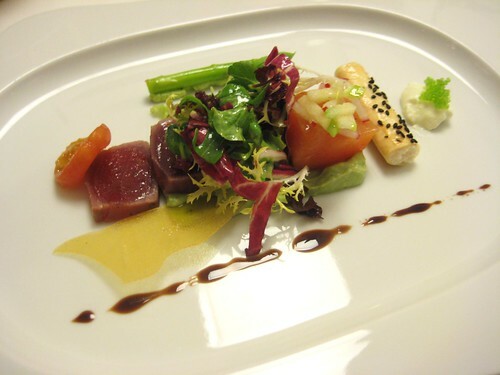 Frank Buchholz’ creativity was seizable with every single dish. Maybe even more could be possible: I feel there is space for more thought and sense in the execution of this admirable creativity. 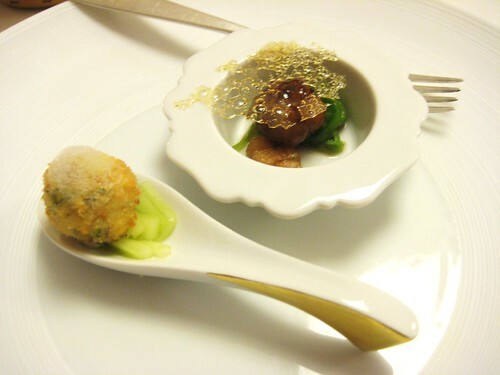 More precision in the play of tastes and textures is the one thing that would come to my mind. But who am I to argue. Again, this was a superb meal and I’m keen on seeing how this restaurant will develop. 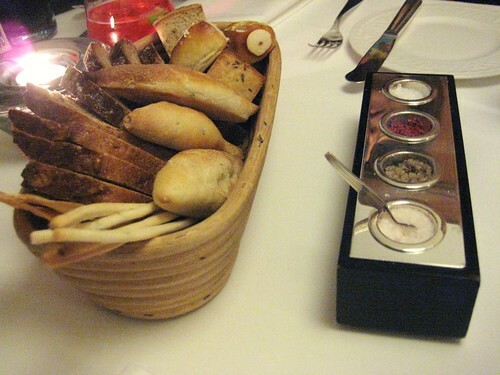 PS: The à la carte selection of dishes is quite broad with something for every taste. 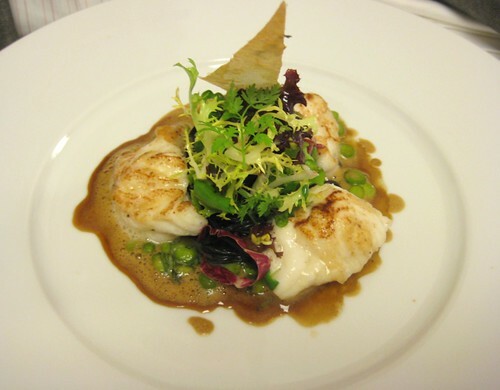 The pricing might be on the lower end for 1 star restaurants; one should count approx. 70 Euro for a 3 course meal. The wine list is not too big but there is enough for everyone’s taste with a logical focus on regional growths from Rheinhessen, Rheingau and Nahe. 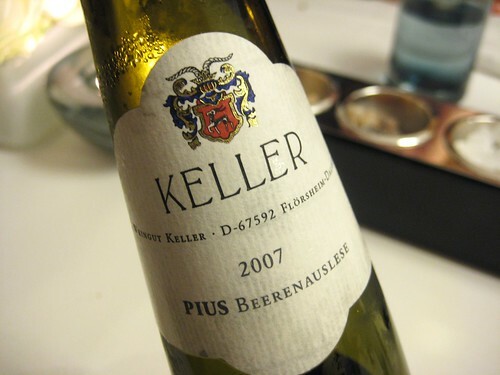 Keller and Künstler aficionados will be satisfied, but also Burgundy is fairly represented. Concerning the pricing, the wine list offers quite some bottles between 25 and 35 Euro, and also several wines served by the glass. Alex..it looks and sounds good….I really need to visit this Restaurant..it’s only ‘down the road’…and thankfully they serve ‘real’ portions…not all this fruit-on-a-stick food. Any Spätburgunders…now..how did you know I would ask that..just call me Mr Pinot! Also, check out his “Bootshaus” on the Rhine river for more casual dining and drinks. Been at the Bootshaus for an event. Didn’t have a chance to have a genuine meal there though. How is it? “Bootshaus” is in a different ligue, of course. But the food and the wine list clearly shows who is behind it. And it is so close to the Rhine river – lovely. But my favorite remains Weinhaus Bluhm in the “Altstadt”.